With new album The Shadow Theory coming April 6th, symphonic prog metallers Kamelot (Napalm Records) have released an official music video for the track Ravenlight. The quarter finals of Bloodstock‘s Scottish heats of Metal 2 The Masses kicked off last Thursday (March 8th), and continue Thursday March 15th with The Starry Wisdom Cult, Satiracy, Sundrown, and A Ritual Spirit. Catch our interview with organiser Fede Valls on the Slow Dragon Music website. Glasgow based almost punks, Dead By Monday, are in the mixing stages of their first full-length, Real Fake News. The album is planned for release after a Summer of singles and live dates, but you can get a taste of their sound from their 2017 E.P. 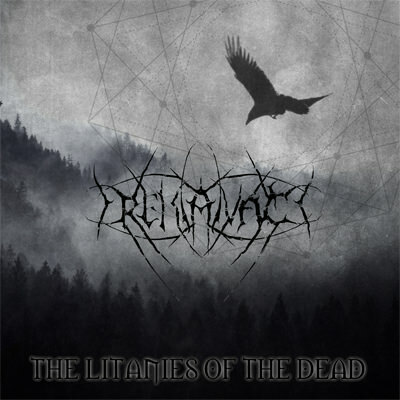 Aberdonian black metal overlords, Drekavac, have announced plans to return to the studio next month to re-record their 2012 demo The Litanies Of The Dead. Read the article with vocalist Hyperion here. Scottish rock fest Wildfire updated their line-up this week to include 40 fantastic bands, including Thundermother (swe), Chasing Dragons, and classic riff-rockers Samarkind. The ever controversial Deicide have re-issued both Scars Of The Crucifix and The Stench Of Redemption across a range of (mainly vinyl based) packages. On Friday (March 9th 2018), Twitching Tongues released a video for the powerful Gaining Purpose single, from their newest full-length, Gaining Purpose Through Passionate Hatred. Posted in Latest News and tagged A Ritual Spirit, Aborted Fetus, Almost Punk, Bloodstock, Chasing Dragons, Dead By Monday, Deicide, Dragon Fire, Drekavac, Fede Valls, Gaining Purpose, Gaining Purpose Through Passionate Hatred, Kamelot, Litanies Of The Dead, M2TM, Metal 2 The Masses, Nailed To The Cross, Napalm Records, Ravenlight, Real Fake News, Samarkind, Satiracy, Scars Of The Crucifix, Slow Dragon Music, Sundrown, The Ancient Spirits Of Decay, The Shadow Theory, The Starry Wisdom Cult, The Stench Of Redemption, Thundermother, Twitching Tongues, Wildfire Festival.